Feb. 26: SWINY’s annual party: we’d love to see you! An Electrifying Social Event on Feb. 26…. After all—where would we be without him? Cell phones, laptops, smoke alarms, flashlights, volt-meters….you get the idea. 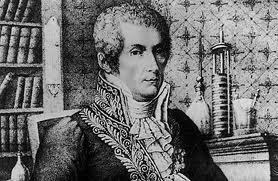 In 1800, Volta—a physicist fascinated with atmospheric electricity—invented the very first battery, i.e., the voltaic pile. Our gatherings at Friend of a Farmer are such a delight— even the restaurant staff thank us for a wonderful evening. Unwind in their mellow private upstairs space—see old friends, meet new ones…..good vibes, good networking, great nibbles…..very cool door prizes…..and a special memento for the first 40 arrivals.